It's that time of the month again! No, not that time... Birchbox time! Click below to see the goods! Someone in the Birchbox office heard my prayers of getting a face moisturizer in my Birchbox this month. Well, I actually prayed it last month, but better late than never. Since I only need moisturizer in the winter (I'm pretty oily spring, summer and fall), I was really lazy about buying one for the winter. I'm not sure how big this sample size it, but it is definitely going to last me until spring hits. This one in particular is supposed to have anti-inflammatory & immuno-boosting properties, and help get rid of dead skin cells. I don't know about all that, but my dry face thanks you, Birchbox, for the face moisturizer. I normally am not thrilled by shampoo samples. I only leave shampoo on my hair for about 20 seconds, so I put my faith in my conditioner (which I'll leave in for 5-10 minutes) to do any real help for my hair. 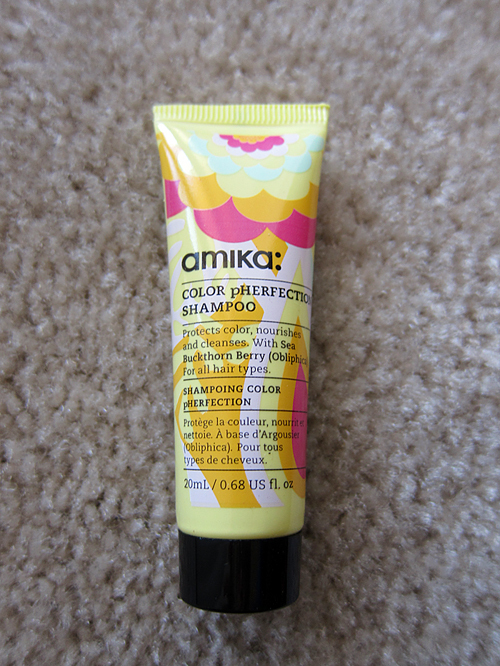 But I'm travelling to Atlanta in a couple weeks and am glad I won't have to buy shampoo in a TSA-approved size. You win again, Birchbox. I really don't like getting foil samples of things, so this wasn't very exciting. And body lotion? Meh. Unless it's made from the souls of beluga whales and guarantees soft skin for all of eternity or something, I don't mind using CVS brand cocoa butter. Maybe that's an extremely naive, uninformed opinion that I will retract at some point, but today is not that day. 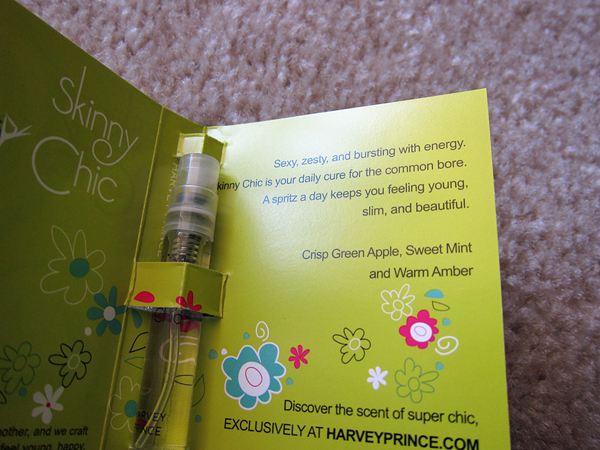 Again, I'm normally not a huge fan of getting perfume samples, but this month I was because this sample smelled so good! Fruity and girly. I love love love amber because it's like a mature vanilla and it lasts long, and the green apple makes it a little fruity. And it'll be nice to have a new, fun scent to pack for my trip to Atlanta! 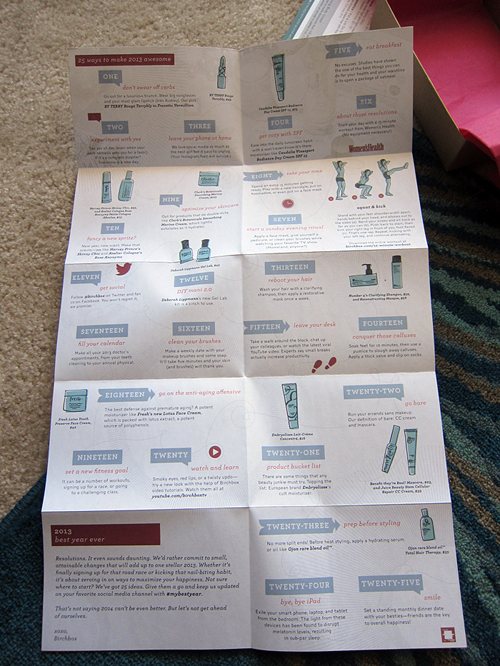 Lastly, Birchbox threw in a little extra to go with the theme of this box, "best year ever". It gave 25 ways to make this year a good year with tips like cleaning your make up brushes and helping get rid of cellulite. Pretty cute! So that's it! Not a bad box, especially since it contained two high-end products I was in need of (the moisturizer and the eyelid primer), so I was satisfied. I like to see at least one makeup product like a lip product, but you can't win every month! Anyone else a Birchbox subscriber? Did you get anything different in your box this month? I love this! How much do Birchboxes cost? I'd love to start getting them. i have been so disappointed in my boxes the last few months. when i signed up over a year ago, i got awesome stuff. looks like your stuff this month wasn't too bad tho. a bit different than mine. i do enjoy seeing what surprises i get each month and i think that makes it worth it, plus i love when i get good stuff like moisturizer, makeup, and shampoo! The box's are definitely hit or miss. I have been a subscriber for nearly two years now, and I just can't find it in me to unsubscribe, haha. 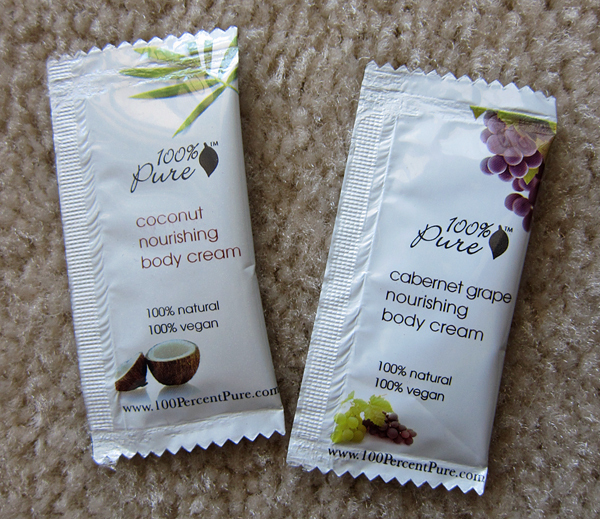 I love beauty products! Lynette! I love those, my friend gets one for home decor & she loves it! I'm thinking of becoming a lover of it too. This is a neat post, thanks for sharing! Yes!! I'm loving that perfume this month. It's the first product in my box I'd actually buy full size (I've only had two). On the flip side, 2 months in a row I've received mascara and moisturizer. What happened to nail polish or lip gloss? 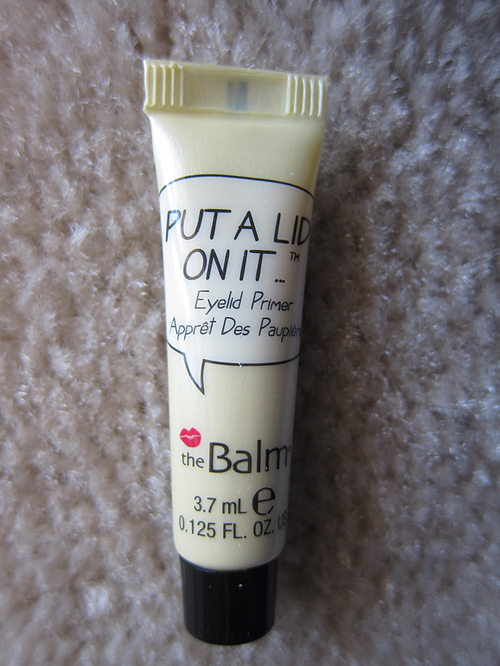 I wish I'd gotten the eyelid primer, pretty cool! I did get a blush/highlighter in mine though and I'm obsessed. Your box was so different than mine! I unsubscribed after my most recent box because it was such a disappointment. I can't even remember anything I got because it was so lackluster. I wonder why yours was so much better?? I just got my first Birch box and I really loved it! 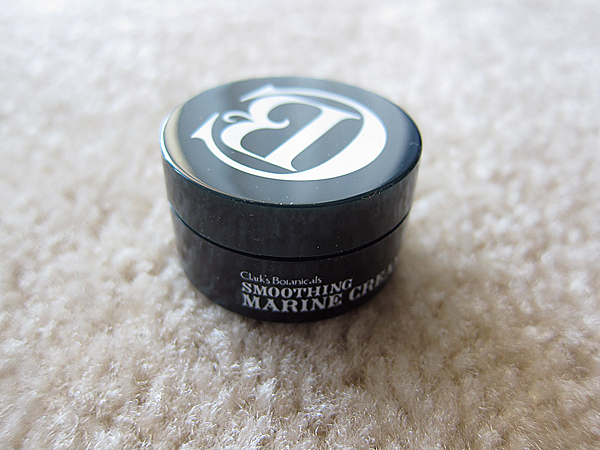 I'm not really a makeup, beauty girl, so I'm learning about some great products!